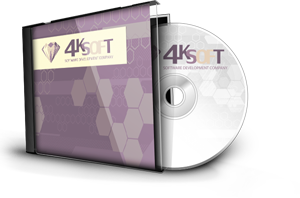 Order form of presentation "4K-Crypt"
You only just paid 4k-soft products through a system of payment paypal. When paypal confirm with the successful transaction - You will be notified with a letter and a link to intruktsiyamy jump program "4K-Crypt"
Simple program for strong encryption/decryption of any files according to ISO-8730 standard. В качестве ключа для криптования данных программа использует 8-символьный цифровой код. Для раскриптования файла необходимо знать ключ, которым файл был закриптован. As a key for encryption of data, the program uses an 8-digit numeric code. For decryption file, you must know the key that was used to encrypt file.